The M3 is simply all you could need in a home. 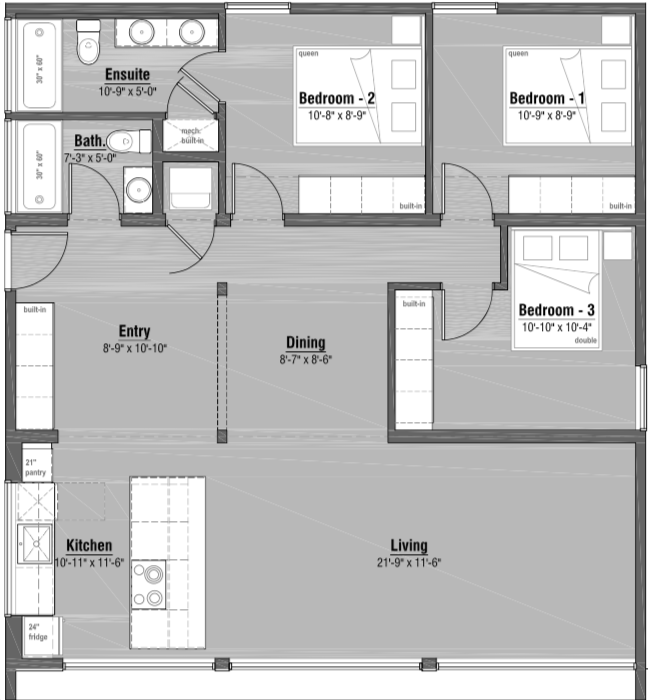 We set out to design the most efficient, beautiful, and livable three bedroom home possible and the M3 is the result. 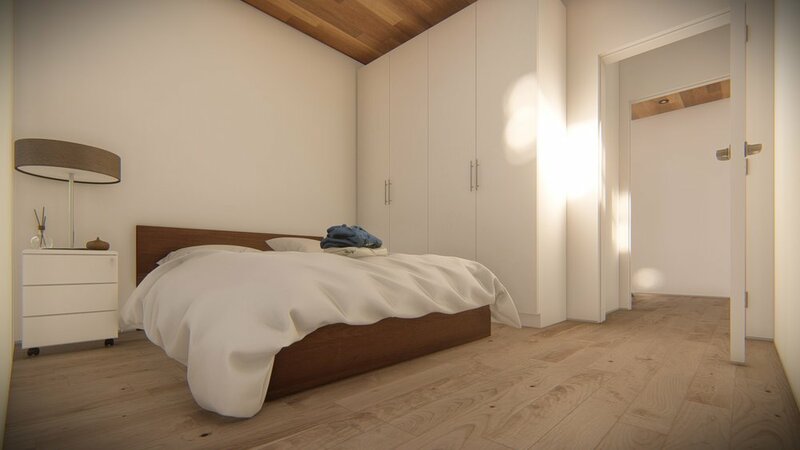 Three full sized bedrooms, an ensuite, a full sized dining room and living room round out this design. 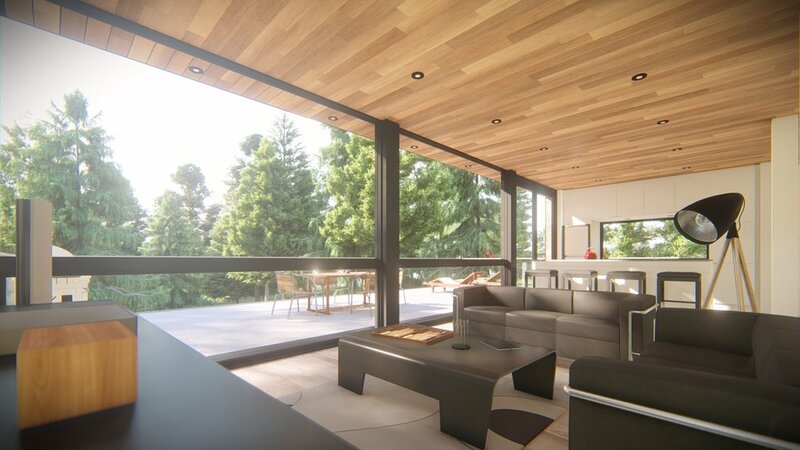 A focus on light and livability allowed us to fit a full sized home into a beautiful modern plan. The M3 can be placed at grade or over a garage.